Billy Joel: New York State of Mind features new interviews with the legendary musician, behind-the-scenes footage of Joel, his band and crew, plus interviews with Joel’s “Super-Fans” including actor and comedian Kevin James. Directed by Jeff Siegel and produced by Jeff Siegel, Nick Barnicle, Colin Barnicle, and Executive Produced by Steve Cohen and Marc Forrest. 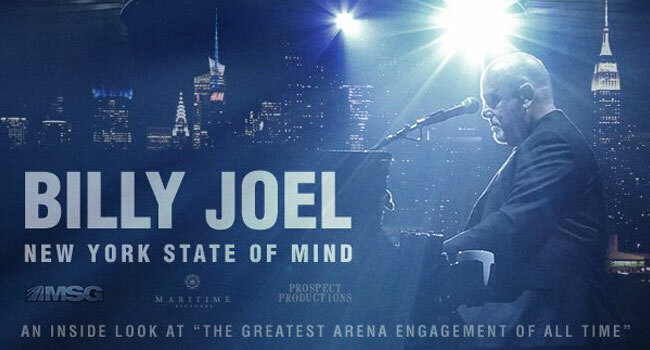 Billy Joel: New York State Of Mind begins airing this Saturday night, February 11th on MSGN and can also be seen throughout the month of February.